Anyone interested in seeing a few photos from the annual concours held at the picturesque 'tudor' style village of Scarsdale, NY (Westchester County, just up a little ways from Manhattan) have a look here. Love the 35th Anniversary Morgan painted Aston Racing Green; looks superb. 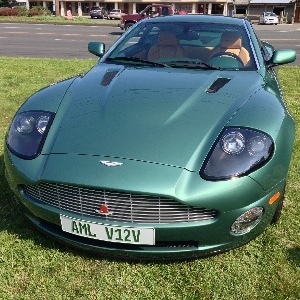 Can't figure the color of the V12V; maybe Flame Orange? Lighting has a big effect, being there was a very bright sun on the day of the show.